Slot Size (Width x Height) 1-3/4" x 7/16" 1-3/4" x 7/16"
Ctr. of Slot/Bolt Hole to Top/Btm. Edges 27/32" 27/32"
Ctr. of Slot to Ctr. of Bolt Hole 2-5/8" 2-5/8"
Ctr. of Slot to Nearest Outside Edge 1-1/8" 1-1/8"
Ctr. 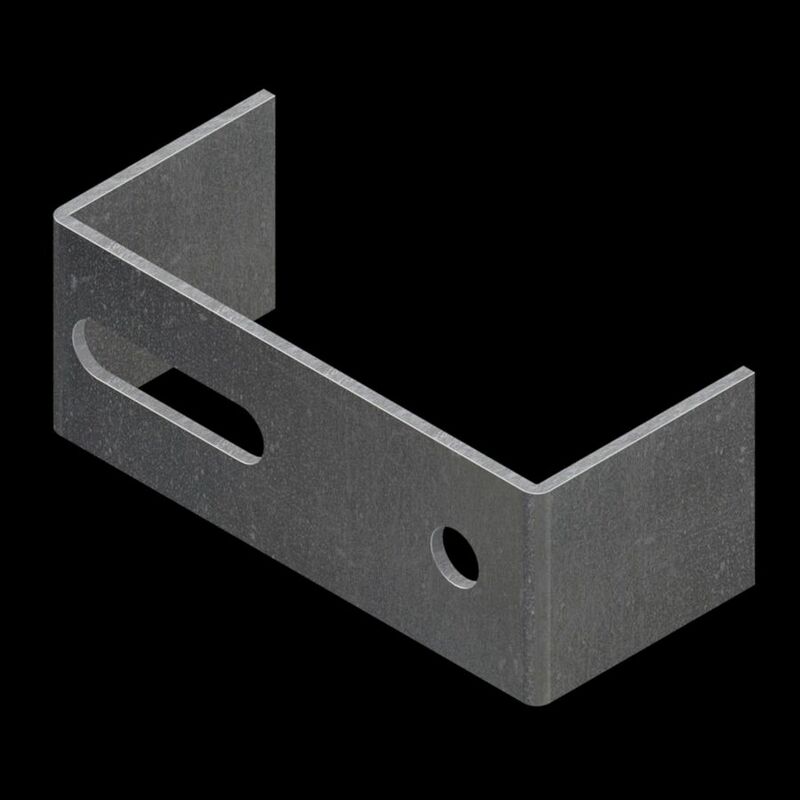 of Bolt Hole to Nearest Outside Edge 3/4" 3/4"
Slot Size (Width x Height) 1-3/4" x 7/16"
Ctr. of Slot/Bolt Hole to Top/Btm. Edges 27/32"
Ctr. of Slot to Ctr. of Bolt Hole 2-5/8"
Ctr. of Slot to Nearest Outside Edge 1-1/8"
Ctr. of Bolt Hole to Nearest Outside Edge 3/4"